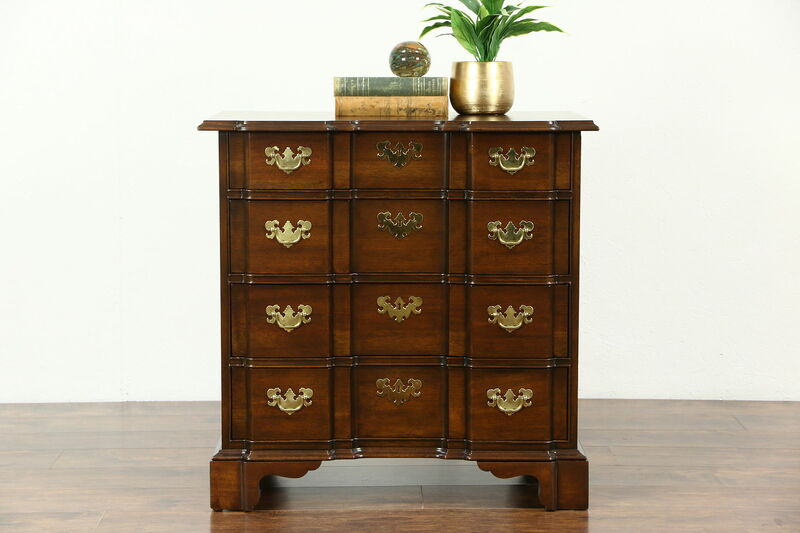 Signed by premier maker, "Baker," a Georgian Chippendale style block front chest or dresser is about 25 years old. The renewed finish on mahogany is in very fine condition, lightly "distressed" to look antique. Drawers have solid oak dovetailed sides. American made vintage furniture, the top is slightly offset, see photos. Measurements are 32" wide, 20" deep and 31 1/2" tall.